Spain's Supreme Court has upheld the ban on stabbing bulls to death during the Toro de la Vega festival in the Castilla y León region. The ban, which was passed in 2016, was immediately challenged by the Tordesillas City Council who appealed against the ruling - claiming there was 'no reason to prohibit the killing'. According to El Pais, the council also argued the death of the bull 'did not detract from its dignity, but rather enhanced it'. Animal-protection organization, Humane Society International, who has worked with other charities to end the festival's 'barbaric' tradition, celebrated the court's decision. Senior Director of Public Affairs for HSI, Dr. Jo Swabe, told Vegan Food & Living: "This is an important victory in the fight against the torture and killing of sentient animals for public entertainment. 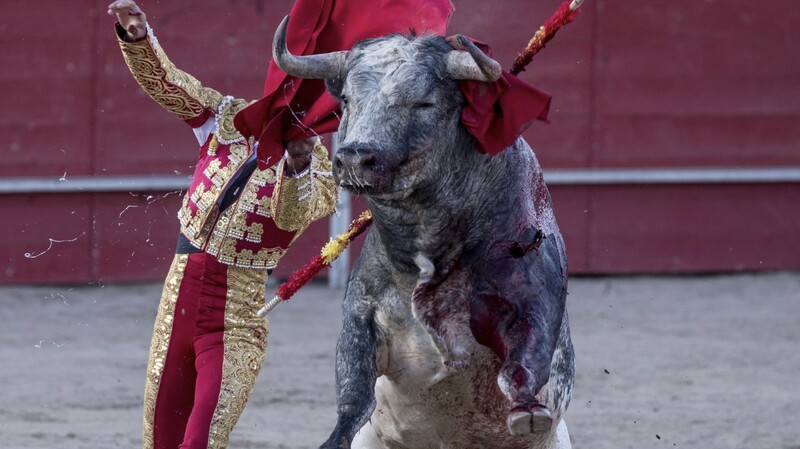 "The Spanish Supreme Court has recognized that the medieval 'tradition' of allowing a terrified bull to be chased to exhaustion and then stabbed to death by a spear-wielding mob has no place in modern society. "We salute our Spanish colleagues who have fought against the backward attempts of Tordesillas Council to reverse an earlier decision to prohibit the public killing of the bull during the annual Toro de la Vega fiesta."